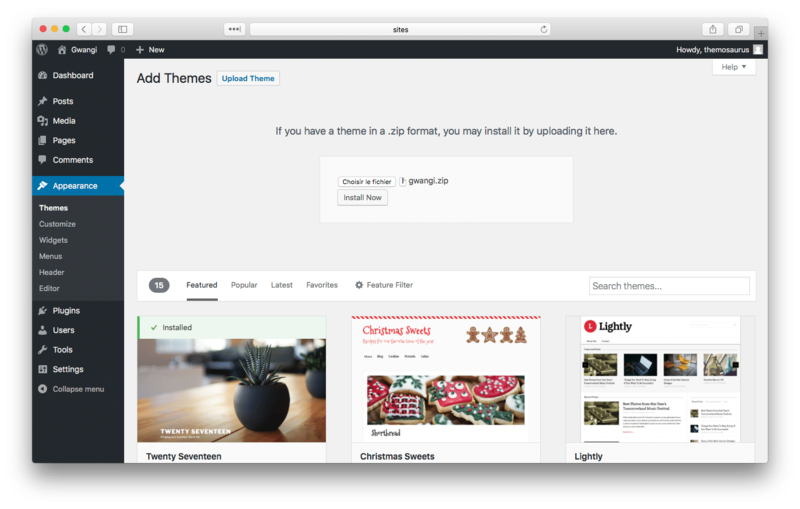 WordPress Upload (recommended method): When you are logged in your WordPress dashboard go to Appearance > Themes > Add New > Upload Theme and select the theme installation zip file you downloaded from our Shop or from ThemeForest and click the Install Now button. The theme will be uploaded and installed. FTP upload: Unzip the contents of the theme installation zip file and using a FTP client, upload the extracted folder on your server to wp-uploads/themes/. Heads Up! You only need to upload the theme files! 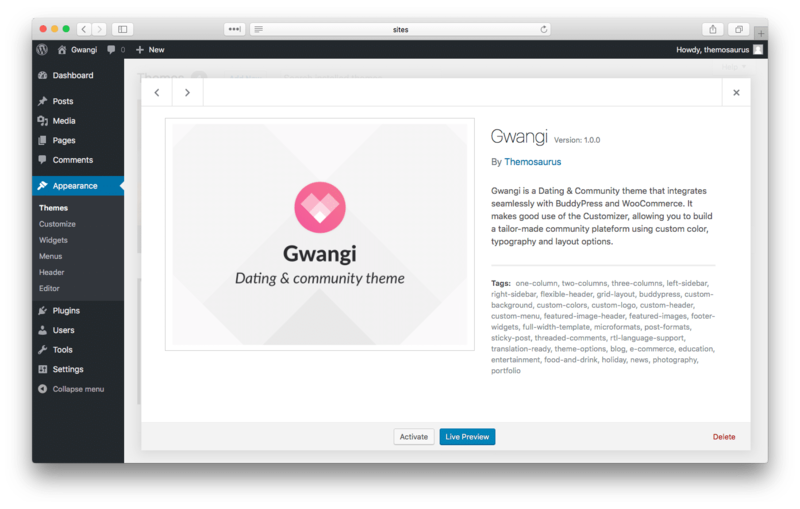 Once your theme is on the server, activate it by clicking the Activate button below the preview image in Appearance » Themes. Congratulations! Now your new theme is fully installed. To give the style of a specific demo to your site, you have to install and activate the corresponding child theme. Default: gwangi-child – This last version will only be used by advanced users wishing to create a child theme in order to change certain design elements or features of your site without changing the parent theme directly.